Specifically formulated for promoting shrimp’s growth. Well balanced nutrition, suitable for juvenile and adult shrimp. 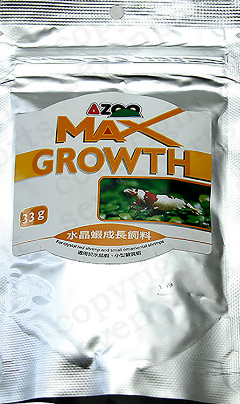 Effectively promote shrimps’ growth, boosting shrimps’ immunity. Rich in spirulina, shrimp meal, kelp and lecithin, providing shrimp’s body color enhancement and stimulating shrimps’ shedding for growth. Specifically made with a stable, not easy to break quality, won’t make the water cloudy.